Would you love to have thicker and more fuller looking eyebrows? Microblading could be the perfect treatment for you. Microblading is a form of semi permanent tattoo that uses tiny needles to help deposit pigment under your skin. The strokes created by our practitioners are so natural to give an effect of real hair. 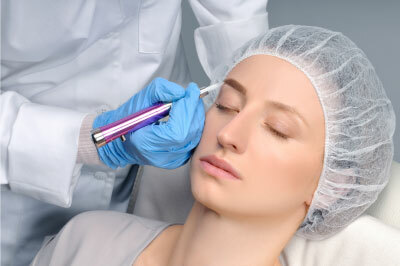 The procedure is done over a course of 2 appointments. It is essential to do a patch test prior the treatment to ensure there is no allergy to the pigments used. The design of the brows will be tailored to your specific face shape and colour matched uniquely to your skin tone and hair colour. Your eyebrows will typically last 6-18 months and will fade gradually and naturally. Between the initial treatment and the follow up appointment you will be given aftercare advice. Aftercare is a very important part of the healing process and recommended that you follow this to ensure results are perfect!